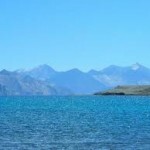 Zanskar in Kargil district of Jammu & Kashmir is quite unlike any other destination in India. Located at an average height of about 3500 to 6000 metres, the sight that meets your eye is one of wild, untamed beauty, much like a stallion of the wild that you would love to tame but know in your heart that this will never happen. It is the land of free spirit. On the other side of the Zanskar range you will find the Spiti valley in Himachal Pradesh. One thing is certain and that is you have to be tough to travel in this region. When you do, you remember tales of childhood of lost cities in the mountains and at each turn you expect to come upon some sight. That is legend but the name Zanskar actually could be interpreted to mean white copper or copper palace or copper valley or simply good and white. The Valley is criss-crossed with tributaries Tsarap, Kargyag, Lungnak and the Doda that ultimately merge to form the Zanskar River. The entire Zanskar region is wild, rugged and even forbidding yet with a charm due to the unique formation of rocks. Despite this you will find well cultivated areas and alpine flora as well as meadows of blue poppies and other flowers, especially in springtime, which is perhaps the best time to visit this place. The region is accessible only briefly during the summer, landslides are a common sight, especially with the onset of monsoon so time your visit and keep your fingers crossed. Tourists will find that the local culture is more Tibetan than Hindu or Muslim. The best time you can visit Zanskar Valley is between Mid May to the middle of October. The reason is after this, the roads get blocked because of heavy snow fall. Zanskar valley lies in one of the most remotest regions of our nation. However reaching it is no more a trial because of the advanced transport network of the country of late. Fly to Delhi and then to Leh or you can even access the road route by driving from Jammu to Leh-ladhak and then to Zanskar valley via the highest chain of mountainous passes in the whole of the world. You will get to put up in home stays, camps, guest houses that are opened for tourists only during the travel season. In the off season hardly any accommodation is available. Getting to Zanskar is a journey and a destination rolled into one. The easiest way to get there is to fly into Leh, spend a day or two acclimatize yourself to the high altitude and then take the Kargil-Padum route, at a height of about 14000 feet. The distance is not far as the crow flies but navigating curves on treacherous mountain roads will lengthen the travel to 2 days if you are lucky or 3 days. Since you are here you might as well visit some monasteries on the say, with Lamayuru being easy to access. 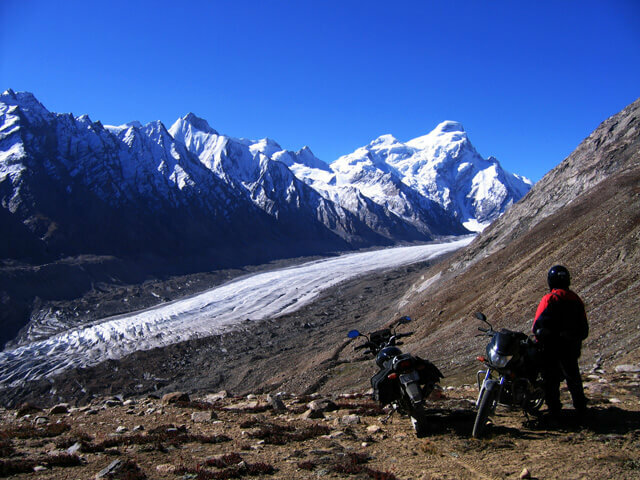 It is a given that if you travel this far surely you will go to Suru valley and admire the Nun-Kun mountain peaks, another monastery and then marvel at the Drang Drung Glacier. Your travel in this region takes you along some Lakes of which the Langtso and Staktso are worth a brief stop. These are blips on the radar in comparison to the majestic Zanskar that occupies the entire width of your vision and the horizon. The high pass then leads gently down a slope and you can see the valley of Zanksar spread out before you like a magical kingdom lost in time, like it were Shangrila of folklore. After the desolate mountain side, the valley appears lush green. You arrive in Padum, which is the heart of Zanskar. Here in Padum you must visit the Castle and the Palace. Now that you are here you can stay a day or two before you return to Leh. However, if you really wish to get to know Zanskar, go for treks, fish in the Zanskar River, eat Tsampa and drink butter tea. For that you would need to stay for a week or more. Sadly, most trekking expeditions start in Leh with only a few starting in Padum. 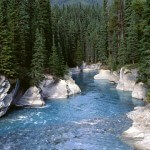 You can, however, find a trekking expedition and join them for a walk to Hanupatta, a strenuous and challenging task. The view aross the mountains, especially when the Sun is low on the horizon, is simply awe inspiring. No sane tourist will stay in Zanskar after the roads close because he will have to stay the entire winter until roads open again in May. Stay just before the road passes close and, if you are lucky, the river freezes allowing you to undertake the Chadar Trek on the frozen Zanskar. 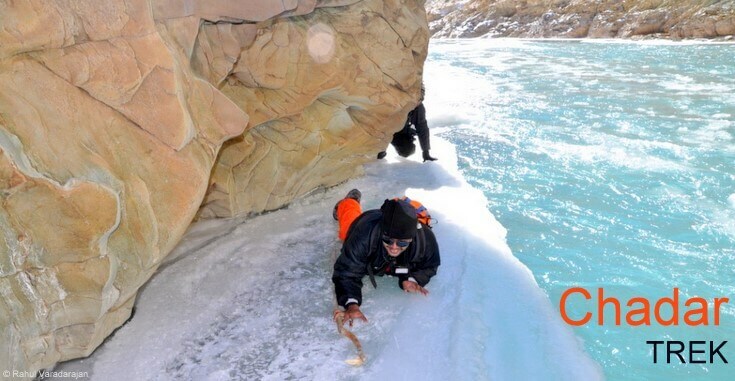 This trek is routine for locals who tread on thin ice and for backpackers, it can be quite challenging with the danger of breaking through the ice always a real threat. If you really wish to do the trek, spare a week and hike from the Valley to Chilling or the other way around, which is the usual way it is done here. If you keep looking down expecting the ice to break at any moment you will miss the grand view of craggy ravines, icicles sparkling in the sun and the white carpet spread before you. The whole of Ladakh and Leh are almost barren. At this altitude do not expect to see a whole variety of flora and fauna. What vegetation is present is alpine in nature with the lower slopes covered by Edelweiss trees. 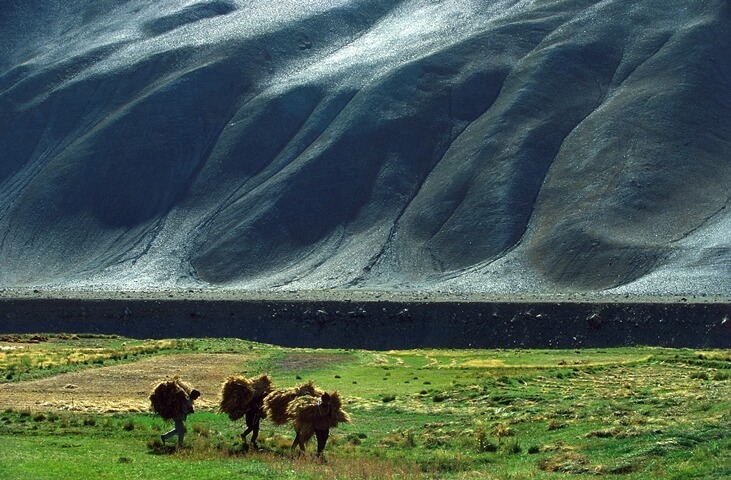 Zanskar valley is a stark contrast with green fields and shrubs everywhere. As for animals in the wild you can come across an occasional bear, a wolf, snow leopards, ibex, wild sheep and goats and the lammergeyer. People, however, have domesticated the yak, the dzo, sheep, horses and dogs. The local population is mostly self-sufficient relying on the yak and animal husbandry as well as agriculture for their sustenance with trade to supplement other needs. Majority are Tibetan Buddhist and this region of Leh-Ladakh including Zanskar have safeguarded the precious Tibetan culture. Zanskar was, at one time, a royal kingdom ruled by Buddhist rulers until invaders from Kinnaur and Lahaul-spiti overran the Palace. 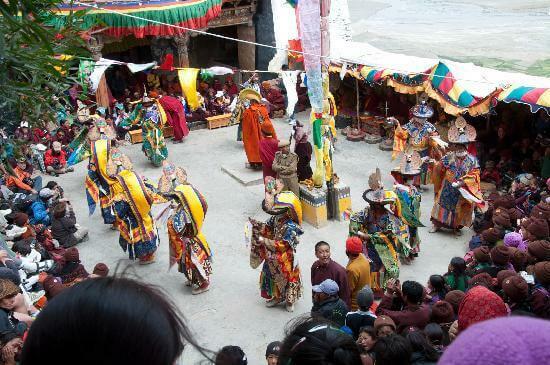 The areas captured by China and Pakistan may have lost the cultural values but here in Zanskar, the traditions and lifestyles of the 8th century are still preserved. Zanskar is on a different plane; visit it and you will know just how much. Just on the other side of the border China occupied Tibet is a testament to how a culture can be erased from public consciousness. Here, on this side, the centuries old tradition is alive and kicking. Travel back in time to a world of lamas, prayer beads, lamps and incense sticks as well as the earthy, rustic warmth of people. Your heart will be warmed forever.